I love St. Patrick’s Day because I don’t feel pressured to buy anybody anything. We can just enjoy the holiday and wear something green. Is it a holiday for the Irish only? Does it matter? Click here for a history reminder of St. Patrick’s Day. It was my favorite holiday when I was a kid because we went to school ready to pinch people who forgot to wear green. I don’t think that’s tolerated in schools these days. It’s reserved for family members now. 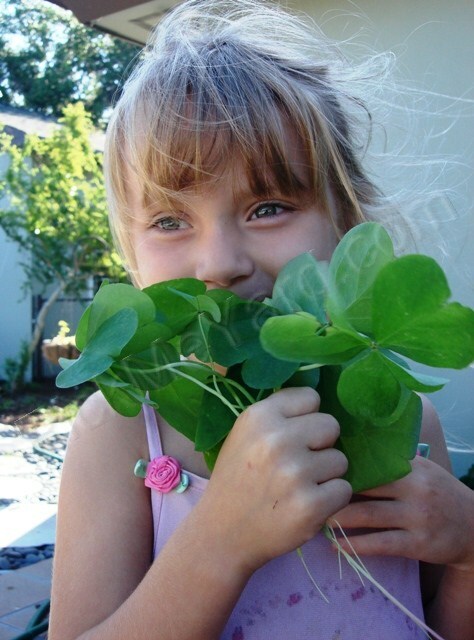 A bunch of clovers. She picked them for our table centerpiece. 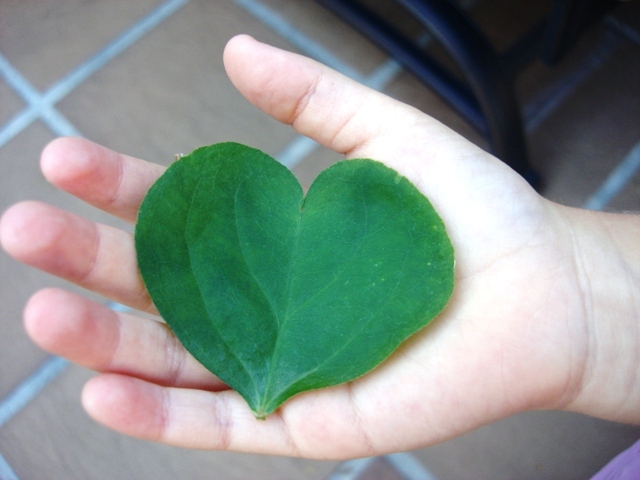 A clover leaf. We heart St. Patrick's Day. 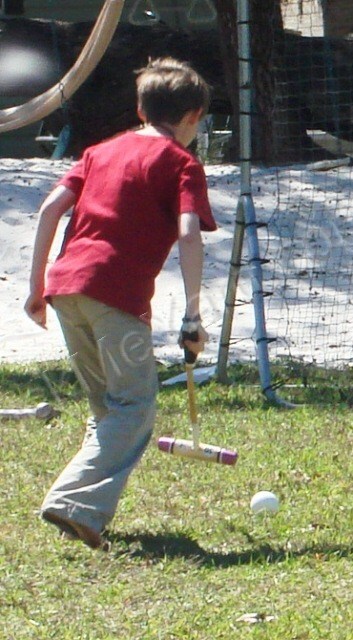 I realize that polo is not a popular sport for most… but it could be. Polo is a super exciting game to watch. It’s played at an all-out full speed and the players get hurt constantly. 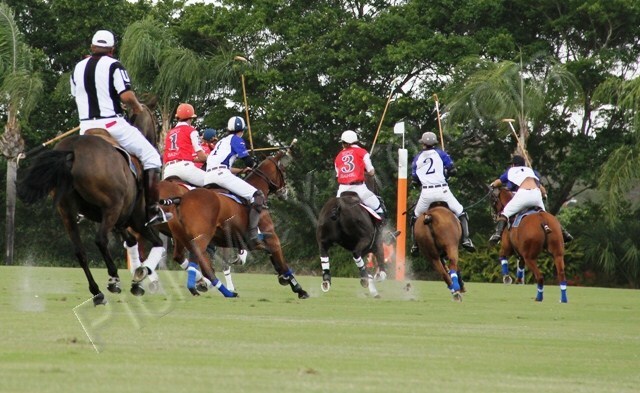 Polo players are a hard-core breed of people who usually live and breathe their sport. They tend to be obsessed with it and think of little else. I can see why. The spirit, the vibe and the energy of polo is very infectious. If you ever have an afternoon that you’re looking for something new and different to do outside, check out a polo match. It’s more of an American sport than most people realize… and it does have a magical appeal. 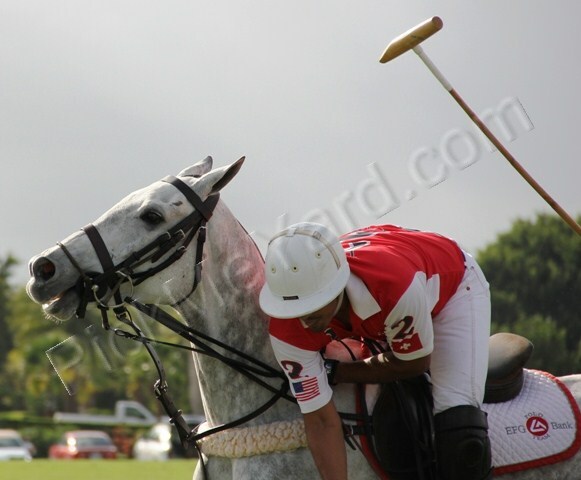 The United States Polo Association has an excellent website to get more information about polo in the U.S. They also have a full list of upcoming events. 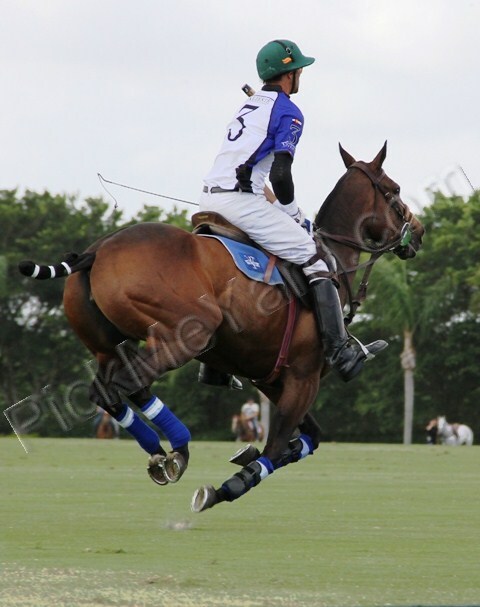 Polo player injury on the field. 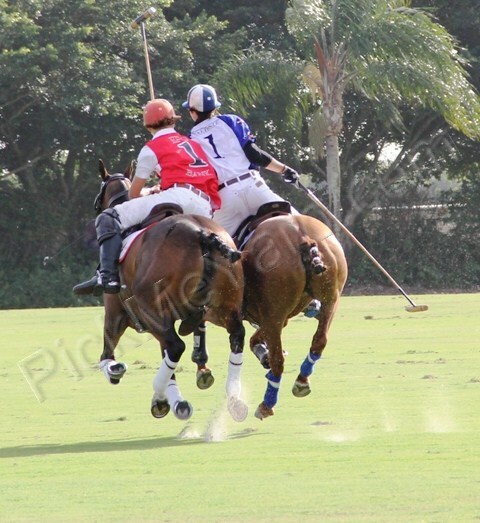 The 2011 Polo season is in full swing at the International Polo Club in Palm Beach which is the home of the only high-goal season in the U.S. You don’t have to be a member of the club to go enjoy the game every Sunday at 3 p.m., but you do have to purchase tickets. Reservations are highly recommended. The season ends April 17, 2011. The game on Sunday, March 13th in Wellington will have a special appearance by Betsey Johnson. 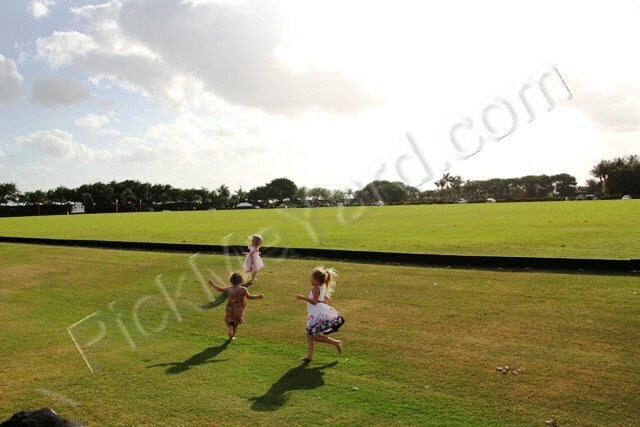 Children playing by the polo field. 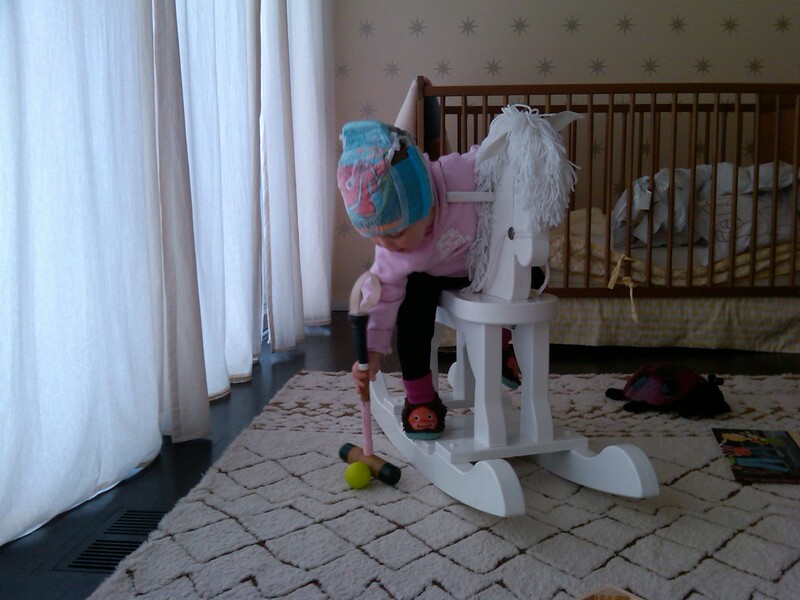 She's pretending she has a pony. He's dreaming he has a pony. 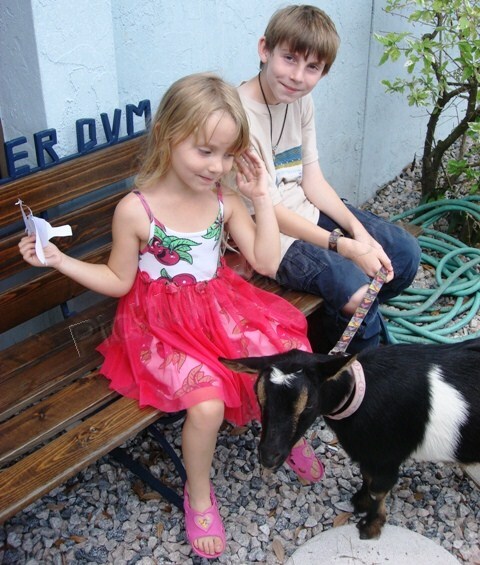 ... and she really has a pony. Check out the diaper helmet. ... he's practicing his polo skills, just in case. This is the traditional ‘divet stomping’. That’s a Jamaican polo player in the photo above. She’s taken me to some riveting polo games in Jamaica. It isn’t unheard of to hear “get up, Man! 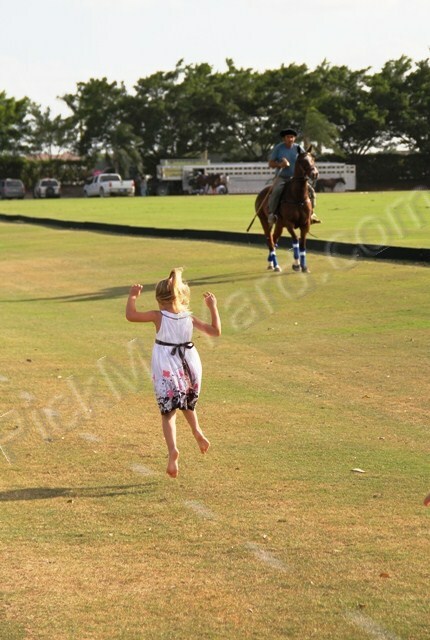 There’s nothing wrong with you!” coming from the audience after a player has fallen at a Jamaican polo match. They’re very serious about their games. Of course, all polo players are. 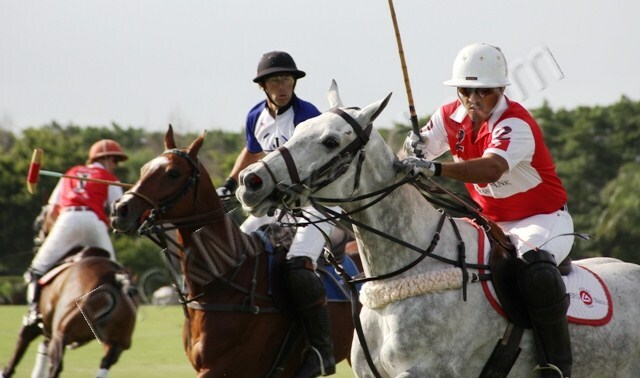 Here’s a list of the 2011 upcoming events for the Jamaica Polo Association, just in case you want to try something off the beaten tourist path. You could even grab a polo lesson from a world champion female polo player. (Ask for Lesley Ann Masterton Fong-Yee). We converted our garage into a playroom several years ago and I decided to create an endless amount of things to keep the kids busy in there. I painted an entire wall with a beige chalkboard paint. 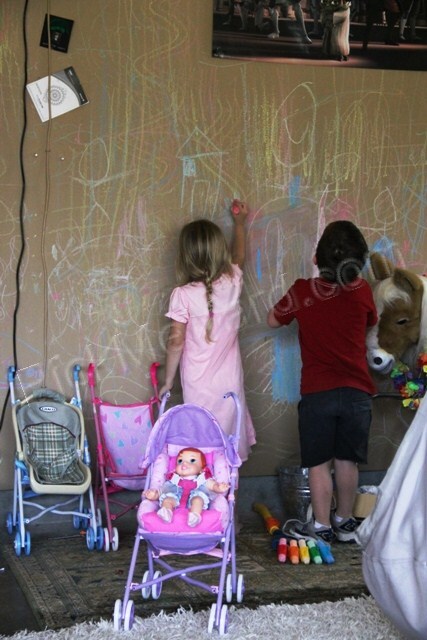 Click on the link to see the chalkboard art in my kids bedroom. Chalkboard art in the garage. Before I painted the chalkboard paint on the wall, I painted it with a magnetized paint. I was hoping the result would be a magnetized chalkboard. 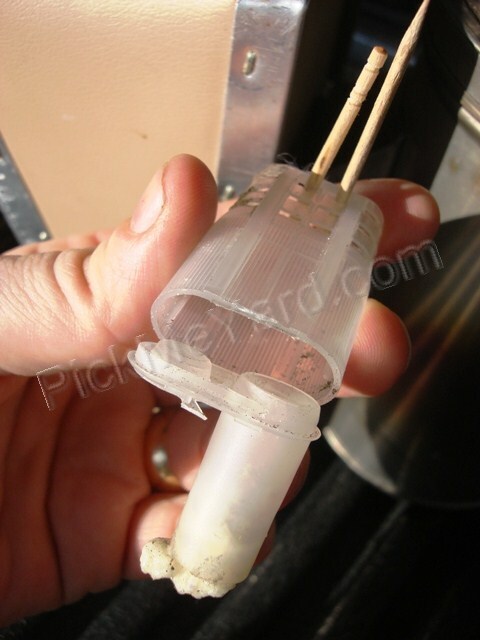 Unfortunately, the magnetization is very weak. Maybe the chalkboard paint over it was too much. It’s no big deal though. 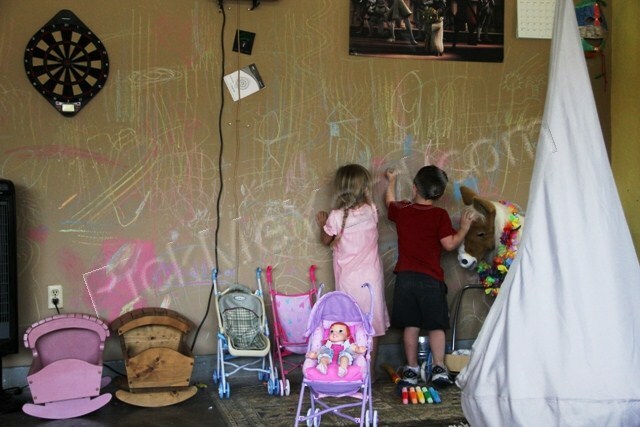 The kids spend hours drawing on the walls. 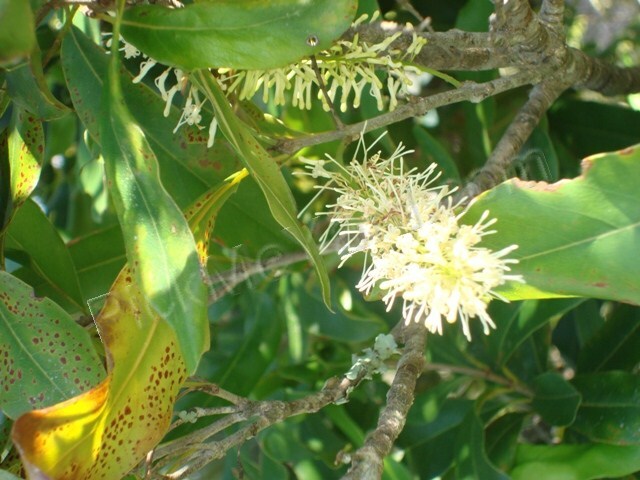 The Sable Palm is the Florida State tree … and we eat it. 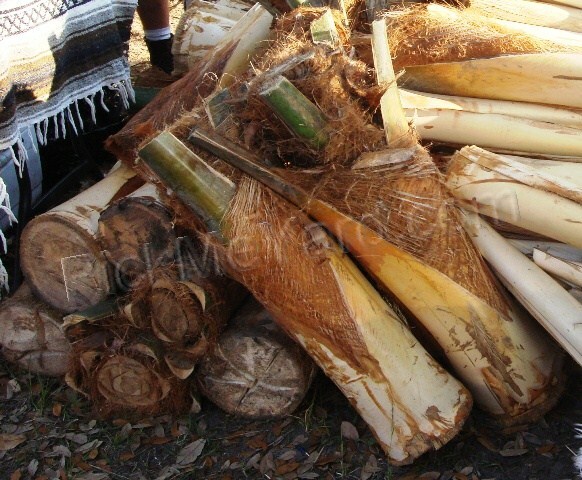 Most people know it as ‘hearts of palm’. We call it ‘swamp cabbage’. Most Floridians refer to the tree as a cabbage palm. 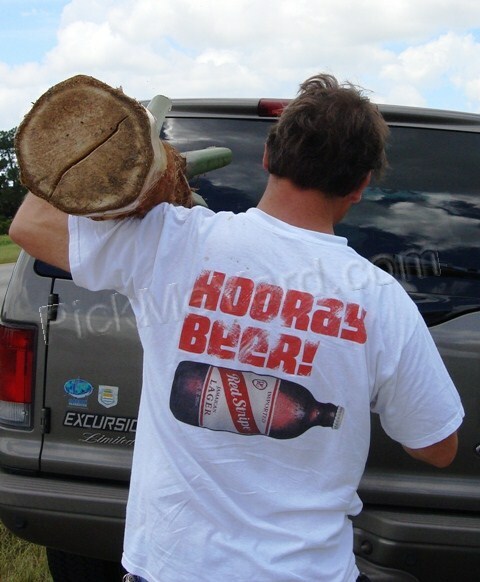 The cabbage palm is native to Florida and survives almost anything mother nature serves its way. even hurricanes. If you live in Florida, you should check out Pamela Crawford’s book, Stormscaping: Landscaping to Minimize Wind Damage in Florida. 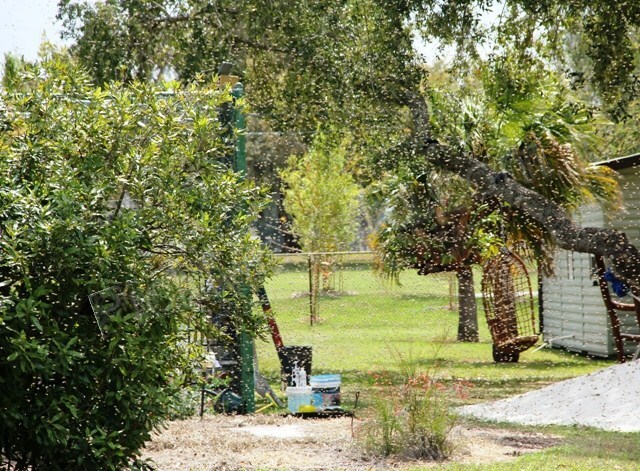 She says the cabbage palm is one of the few trees with a well-deserved very high wind tolerance. 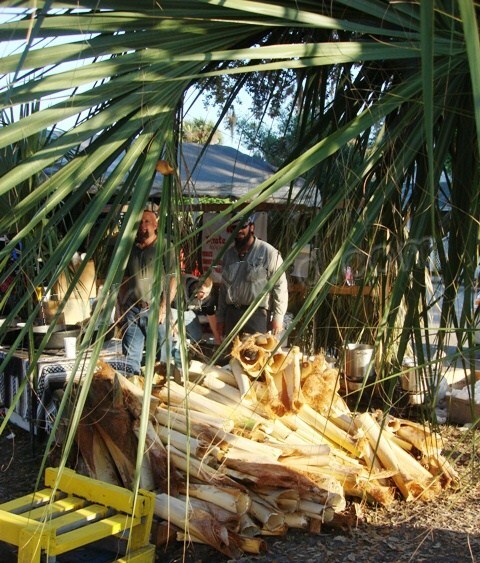 The young palm tree is harvested and the bark is removed. 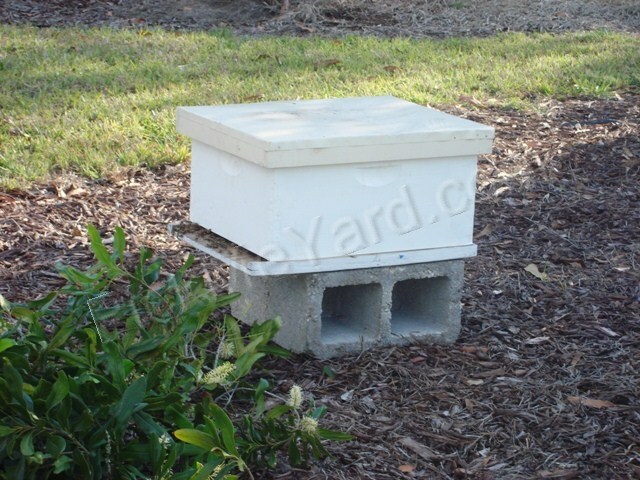 The center core and the base are the parts that are eaten. They can be eaten raw or cooked. 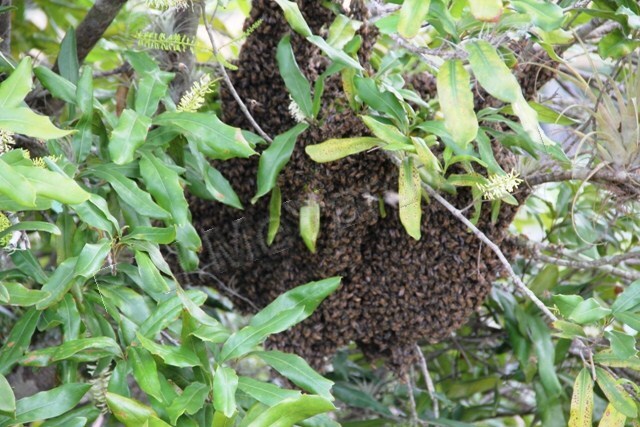 It’s sweet, fibrous and tends to have a laxative effect. A pile of swamp cabbage before it's center is cut out. Hooray beer! Hooray swamp cabbage! Swamp cabbage... hearts of palm. I guess it depends where you live. 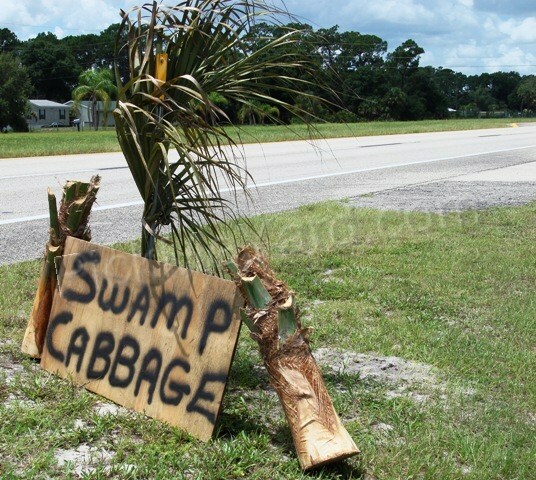 The small town of LaBelle, Florida holds a Swamp Cabbage Festival on the last weekend of February every year. 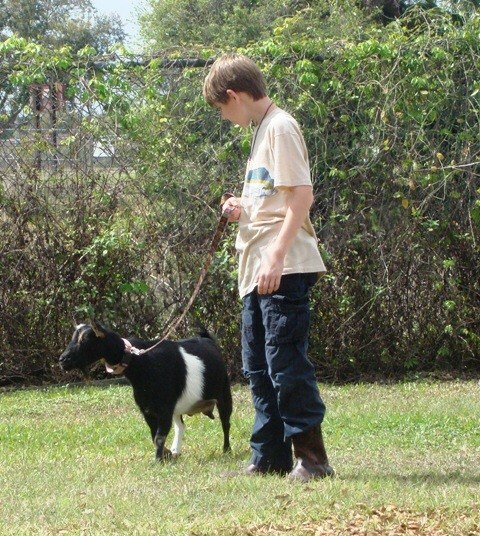 Click on Scrumpdillyicious to see some great photos and get more information. It’s a big, weekend party for the town. 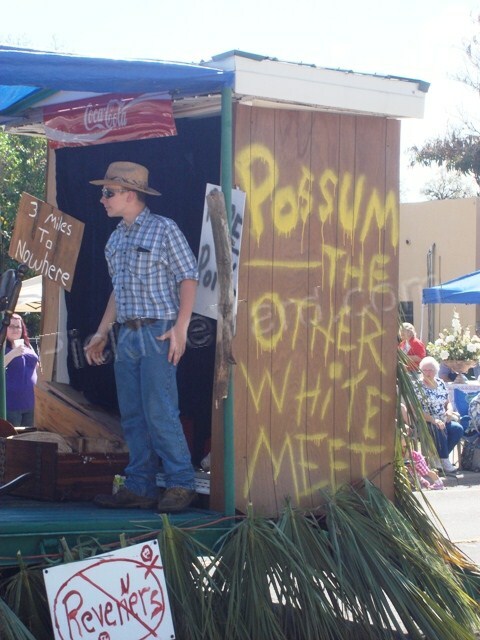 A float in the 2011 Swamp Cabbage parade. 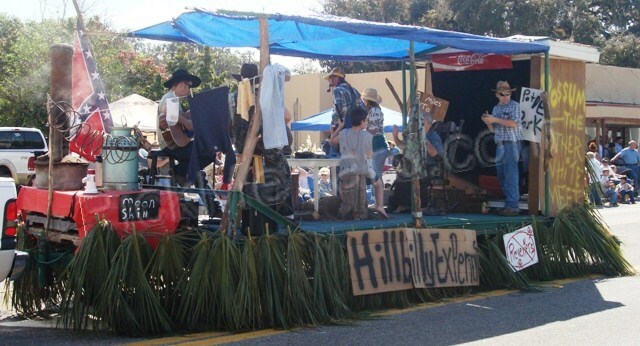 The Hillbilly Experience float in the 2011 Swamp Cabbage Parade. 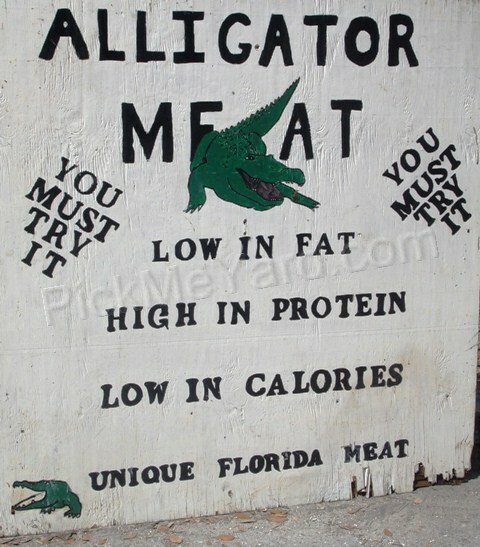 ... No, I'm pretty sure the other white meat is gator. Joneses BBQ is the best ever. ... and Perkins has the best gator tail. Pirate Pickles has delicious pickled swamp cabbage. 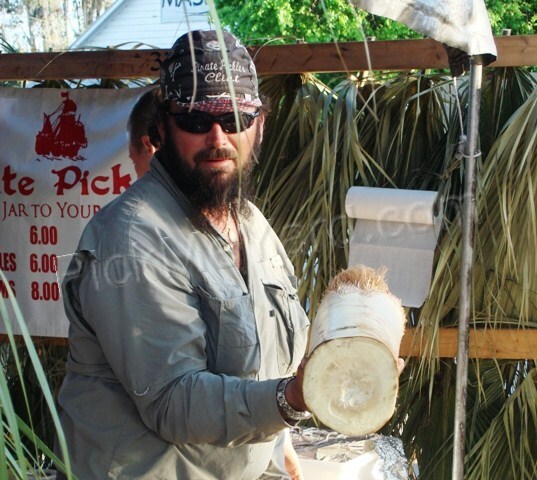 He's holding the edible part of the cabbage palm. That's a big pile of cut up cabbage palms under a cabbage palm frond. 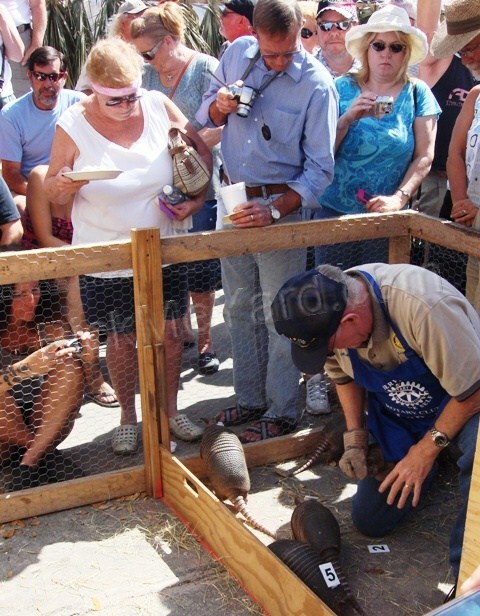 They have some very exciting armadillo races. 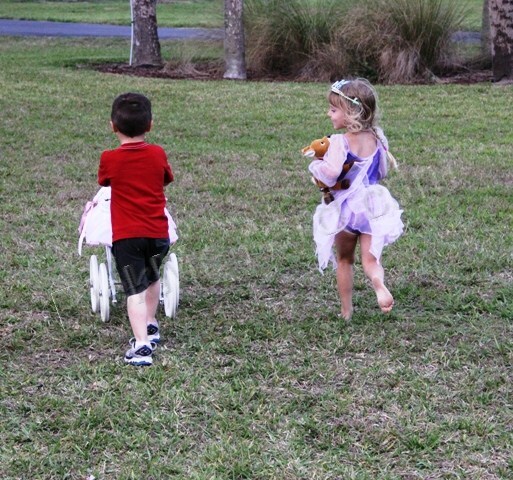 They really are fun and kids go bonkers over it. 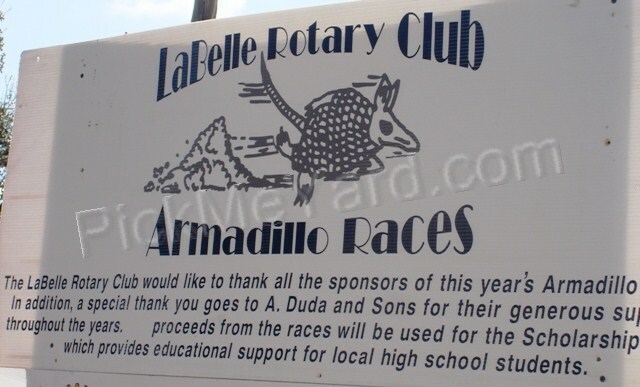 Armadillos getting ready to race. 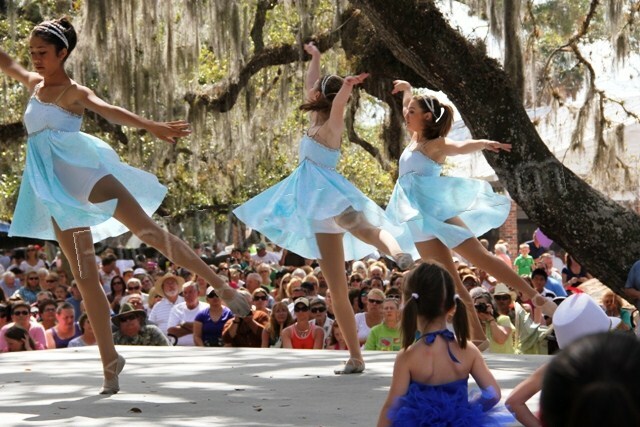 The weekend holds constant entertainment, from ballet to bluegrass. 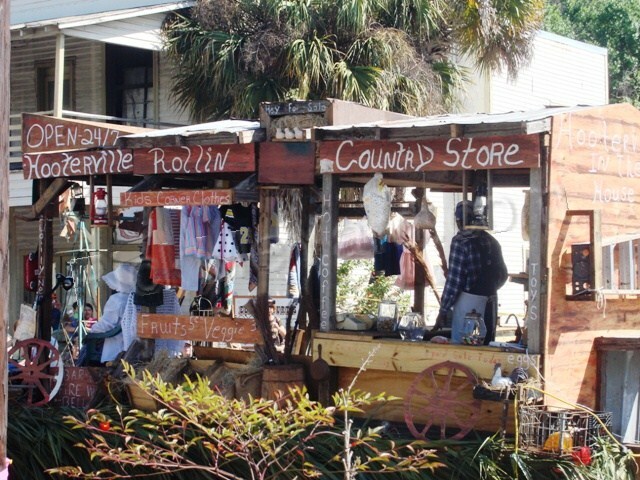 The Seminole indians have their booths with traditional fry bread, crafts and information. There are endless vendors selling food. It’s fun to try the different family recipes of swamp cabbage. 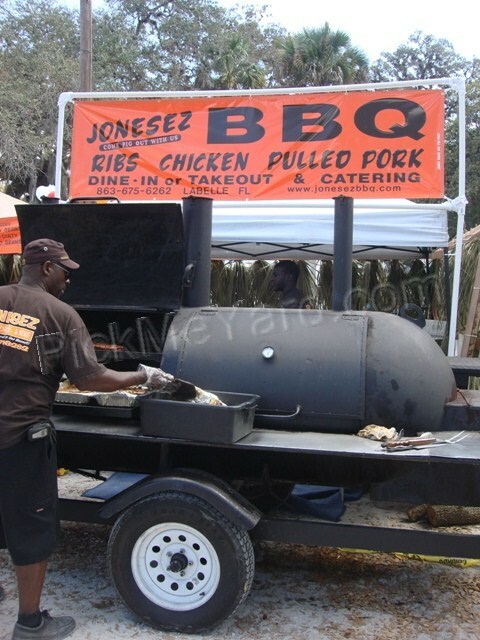 The town has held this festival for over forty years and attracts over 30,000 people a year from all over South Florida.